Disclosure: Doctor Zebra gets a few pennies if you click & buy from Amazon. Abrams, Herbert L. "The President Has Been Shot": Confusion, Disability, and the 25th Amendment in the Aftermath of the Attempted Assassination of Ronald Reagan. New York: W. W. Norton & Company, 1992. Comment: Rigorous and enormously thought provoking. Abrams tells not only the story of the shooting itself, but, more importantly, the maneuvering to disguise Reagan's slow recovery afterwards and forestall any consideration of transferring power to the Vice President. 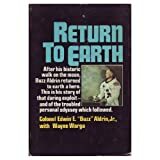 Aldrin, Edwin E. Jr. Return to Earth. New York: Random House, 1973. Allen, Joseph. Entering Space. New York: Stewart, Tabori, & Chang, 1984. Anonymous. Primary Colors: A Novel of Politics. New York: Warner Books, 1996. Comment: "Anonymous" was later revealed to be Joel Klein. Appleby, Louis. A Medical Tour through the Whole Island of Great Britain. London; Boston: Faber and Faber, 1995. Bamford, James. The Puzzle Palace. New York: Penguin, 1982. Bean, Alan; Chaikin, Andrew. Apollo: An Eyewitness Account by Astronaut/Explorer Artist/Moonwalker Alan Bean. Shelton, CT: Greenwich Workshop Press, 1998. Bean, Alan; Fraknoi, Beverly. My Life as an Astronaut. New York: Pocket Books, 1988. Bolin, Terry; Stanton, Rosemary. Wind Breaks. New York: Bantam, 1995. Bollet, Alfred Jay. Plagues and Poxes: The Impact of Human History on Epidemic Disease. Revised edition. New York: Demos, 2004. Comment: As reviewed in New Engl J Med. 2005;352:1055-1056. Borman, Frank; Serling, Robert J.. Countdown: An Autobiography. New York: William Morrow, 1988. Brewer, Clifford. The Death of Kings: A Medical History of the Kings and Queens of England. London: Abson Books, 2000. Brooks, Stewart M. Our Murdered Presidents: The Medical Story. New York: Frederick Fell, 1966. Comment: LCC shelving code R703 B873 1966. Carpenter, M. Scott; Cooper, L. Gordon Jr.; Glenn, John H. Jr.; Grissom, Virgil I.; Schirra, Walter M. Jr.; Shepard, Alan B. Jr.; Slayton, Donald K.. We Seven. New York: Simon and Schuster, 1962. Carpenter, M. Scott; Stoever, Kris. For Spacious Skies: The Uncommon Journey of a Mercury Astronaut. New York: Harcourt, 2002. Cernan, Eugene. The Last Man on the Moon. New York: St. Martin's, 1999. Chaikin, Andrew. A Man on the Moon. New York: Penguin, 1998 (original (C) 1994). Clancy, Tom and Horner, Chuck. Every Man a Tiger. New York: Putnam, 1999. Cloudsley-Thompson, JL. Insects and History. New York : St. Martin's Press, 1976. Collins, Michael. Carrying the Fire. New York: Ballantine, 1974. Conrad, Nancy; Klausner, Howard A. Rocketman: Astronaut Pete Conrad's Incredible Ride to the Moon and Beyond. New York: NAL, 2005.
Cooper, Henry S. F. Before Lift-Off. Baltimore, MD: Johns Hopkins, 1987. Cramer, Richard Ben. What It Takes: The Way to the White House. New York: Random House, 1992. Comment: This book -- an immersive biography of six contenders for the 1988 Presidential election -- is simply tremendous. One thousand pages, and you really don't want it to end. Makes it clear that success or failure in running for President ultimately rests on the personality of the candidate. The victor, Bush41, was at all times willing to do "what it takes" to win the Presidency. There is no better book to discover what makes people at this level tick. Cunningham, Walter. The All-American Boys. New York: Macmillan, 1977. Comment: Cunningham published an updated version after the Columbia tragedy. Desowitz, Robert S. New Guinea Tapeworms and Jewish Grandmothers. New York: W. W. Norton, 1981. Dole, RJ. Great Presidential Wit. NY: Scribner, 2001. Donald, David Herbert. Lincoln. New York: Touchstone / Simon & Schuster, 1996. Comment: Widely regarded as the best one-volume biography of Lincoln, covering his entire life. Duke, Charlie. Moonwalker. Nashville: Oliver-Nelson, 1990. Evans, Michael. The Death of Kings: Royal Deaths in Medieval England. London, New York: Hambledon and London, 2003. Fox, Robin Lane. The Search for Alexander. Boston: Little, Brown. Gandt, Robert. Bogeys and Bandits: The Making of a Fighter Pilot. New York: Penguin, 1997. Garn, Jake. Night Launch. New York: William Morrow, 1989. Comment: Garn was the U.S. Senator from Utah who flew on the Space Shuttle in the 1980s. This book is a novel. Gary, Ralph. Following Lincoln's Footsteps. New York: Carroll & Graf, 2001. Glenn, John H. John Glenn: A Memoir. New York: Bantam, 1999. Grissom, Betty. Starfall. New York: Thomas Y. Crowell, 1974. Halstead, Murat. The Illustrious Life of William McKinley, Our Martyred President. 1901. Harvey, A. McGehee. Adventures in Medical Research: A Century of Discovery at Johns Hopkins. Baltimore: Johns Hopkins University Press, 1976. Heave Ho! My Little Green Book of Seasickness. Mazel, Charles. Camden, Maine: International Marine, 1992. Henriques, Peter R. The Death of George Washington: He Died as He Lived. Mt. Vernon, VA: The Mount Vernon Ladies' Association, 2000. Holmes, Frederick. The Sickly Stuarts: The Medical Downfall of a Dynasty. Stroud, UK: Sutton Publishing, 2003. Comment: Reviewed in New Engl J Med. 2004;350:2014-2015, from which all references here are taken. Hooper, Gordon R. The Soviet Cosmonaut Team. Woodbridge, Suffolk, UK: GRH Publications, 1986. James, Marquis. Andrew Jackson: Portrait of a President. New York: Grosset & Dunlap, unknown year (originally published in 1937 by Bobbs-Merrill). James, Marquis. The Life of Andrew Jackson. Indianapolis: Bobbs-Merrill, 1938). Johnston, RS et al (eds). Biomedical Results of Apollo (NASA SP-368). Washington, DC: US Government Printing Office, 1975. Kean, Benjamin H. M.D. : One Doctor's Adventures Among the Famous and Infamous from the Jungles of Panama to a Park Avenue Practice. New York: Ballantine Books, 1990. Kelly, Fred. America's Astronauts and Their Indestructable Spirit. Blue Ridge Summit, PA: Tab Books, 1986. Kraft, Christopher. Flight: My Life in Mission Control. New York: Dutton, 2001. Lamon, Ward Hill. Recollections of Abraham Lincoln. Washington, DC: Dorothy Lamon Teillard, 1911. Lattimer, John K. Kennedy and Lincoln: Medical & Ballistic Comparisons of Their Assassinations. New York: Harcourt Brace Jovanovich, 1980. Leech, Margaret. Reveille in Washington 1860-1865. Alexandria: Time-Life Books, 1962. Comment: A vivid account of Washington, DC during the Civil War. Won the Pulitzer Prize. Leish, Kenneth W. (ed.) and other American Heritage Editors. The American Heritage Pictorial History of the Presidents of the United States. New York: American Heritage Publishing, 1968 (in two volumes). Lovell, James. Lost Moon. Boston: Houghton Mifflin, 1994. McKusick, Victor A. Mendelian Inheritance in Man. 9th ed. Baltimore: Johns Hopkins University Press, 1990. Comment: Later print editions have appeared, e.g. the 12th in 1998: Amazon (ISBN is 0801857422). The entire contents are freely available on the web as "Online Mendelian Inheritance in Man (OMIM)" The online version is more current than the printed version. Mitchell, Edgar D. The Way of the Explorer. New York: G. P. Putnam's Sons, 1996. Mould's Medical Anecdotes: Omnibus Edition. Mould, Richard F. Bristol, UK: Institute of Physics Publishing, 1996. Nardell, Sydney G. Jungle Medicine and Surgery. Sussex, England: The Book Guild Ltd, 1999. O'Brien, Cormac. Secret Lives of the US Presidents: What Your Teachers Never Told You About the Men of the White House. Philadelphia: Quirk Books, 2004. Comment: A marginally serious, but accurate review of presidents through 2004. Dr. Zebra is suspicious that O'Brien did not cite all of his sources properly. O'Leary, Brian. The Making of an Ex-Astronaut. Boston: Houghton Mifflin, 1970. Park, Bert Edward. The Impact of Illness of World Leaders. Philadelphia: University of Pennsylvania Press, 1986. Pendel, Thomas F. Thirty-Six Years in the White House. Washington: Neale Publishing Company, 1902. Pogue, William. Astronaut Primer. ?? Phoenix, AZ: L 5 Society. Pogue, William. How Do You Go to the Bathroom in Space? 2nd edition. New York : Tom Doherty Associates, 1999. Remini, Robert V. The Life of Andrew Jackson. New York: Penguin, 1990 (hardback 1988). Comment: Well-written, coherent distillation of Remini's definitive three-volume biography of Jackson. Roueché, Berton. Eleven Blue Men and Other Narratives of Medical Detection. New York: Berkeley Medallion, 1965 (originally published 1953). Sagdeev, Roald Z.. The Making of a Soviet Scientist. New York: Wiley, 1994. Schirra, Walter M. Schirra's Space. Annapolis, MD: Naval Institute Press, 1988. Scott, David; Leonov, Alexei. Two Sides of the Moon: Our Story of the Cold War Space Race. London: Pocket Books, 2004. Seldes, George. Witness to a Century. New York: Ballantine Books, 1987. Sharman, Helen. Seize the Moment. London: Victor Gollancz, 1993. Slayton, Donald K. Deke! : U.S. Manned Space Flight from Mercury to the Shuttle. New York: Forge: St Martin's Press, 1994. Sontag, Sherry and Drew, Christopher. Blind Man's Bluff: The Untold Story of American Submarine Espionage. New York: Public Affairs, 1998. Sotos, John G. The Physical Lincoln: Finding the Genetic Cause of Abraham Lincoln's Height, Homeliness, Pseudo-Depression, and Imminent Cancer Death. Mt. Vernon, VA: Mt. Vernon Book Systems, 2008. Stafford, Thomas P.; Cassutt, Michael. We Have Capture: Tom Stafford and the Space Race. Washington, D.C.: Smithsonian Institution Press, 2002. Stern, C. C. Braddock's Presidential Trivia. 3rd edition. Herndon, VA: Braddock Communications, Inc., 2001. Suetonius (Gaius Suetonius Tranquillus). Robert Graves, transl. The Twelve Caesars. Middlesex, England: Penguin, 1957. Sullivan, George. Mr. President: A Book of U.S. Presidents. New York: Scholastic Inc., 2005. Sullivan, Mark. Our Times: 1900-1925 (Six volumes). New York: Charles Scribners' Sons, 1926-1940. Swenson, Lloyd S. Jr., et al. This New Ocean: A History of Project Mercury. Washington: US Government Printing Office, 1966. Titov, Gherman. I am Eagle. Indianapolis: Bobbs-Merrill, 1962. Walker, Martin. The Cold War. New York: Henry Holt, 1995. Walsh, Kenneth T. Air Force One: A History of Presidents and Their Planes. New York: Hyperion, 2003. Wolfe, Tom. The Right Stuff. New York: Farrar Straus Giroux, 1979. Wright, Lawrence. The Looming Tower. New York: Vintage, 2006. Wyden, Peter. Wall: The Inside Story of Divided Berlin. New York: Simon and Schuster, 1989. Zinsser, Hans. Rats, Lice, and History. Boston: Little, Brown, 1934. Comment: A wonderful, easy-to-read, beautifully written, little book, although afflicted with social conventions of its time.